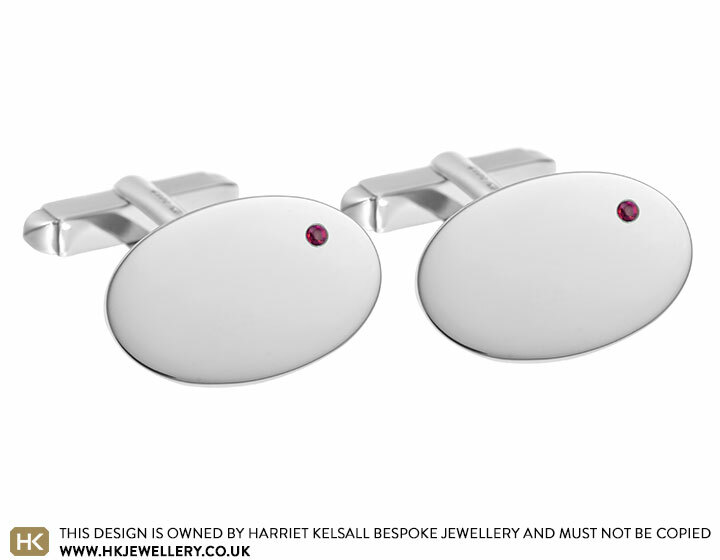 These simple, hinge-backed cufflinks feature two 1.5mm brilliant cut red rubies. Each gemstone has been invisibly set into the 19x12mm oval face in an off-centre position. 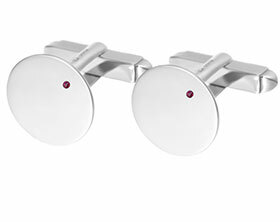 Sterling silver cufflinks with invisibly set rubies.